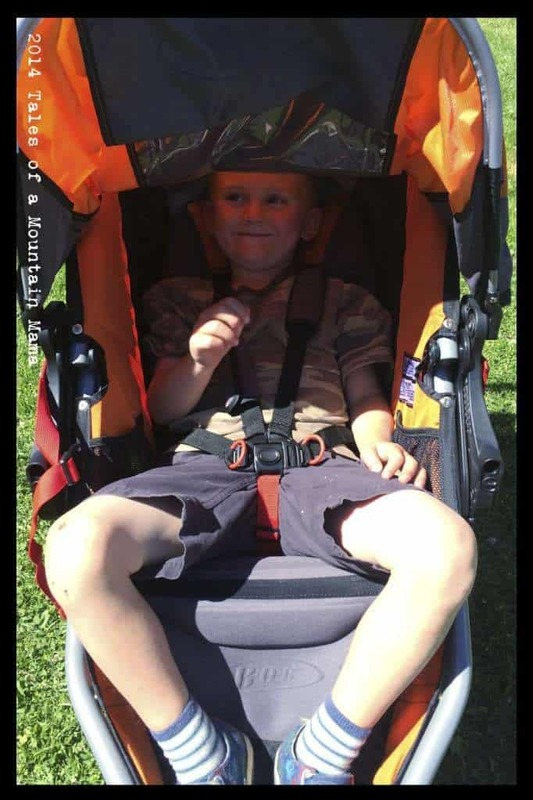 Disclosure: For our “Stroll On: Get Out on Wheels” project this year, we approached a variety of jogging stroller companies for reviews. Each of these strollers were given to use for their review purposes free of charge. However, we pride ourselves in having thorough and honest reviews – everything you see here is exactly what we tell family and friends. 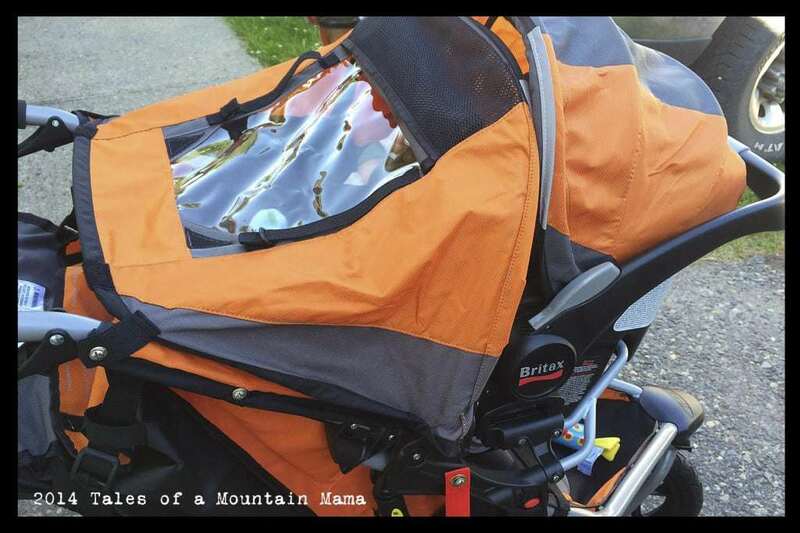 The BOB is the tried and true classic running stroller. It is what everyone compares against (and what every company is striving to compete with). 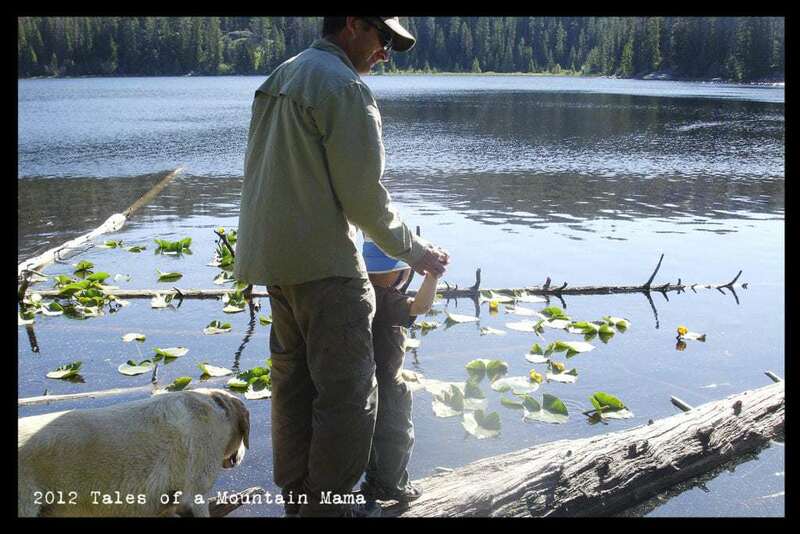 And with good reason – it’s a fine-tuned machine that gets runners out everywhere logging their miles WITH their child. While it weighs in at a pretty average 25 pounds, it is fairly large and bulky when folded up. The wheels are removable, but plan on it taking up some serious room in your car. When we first had J (now 5 years old), we bought a BOB SUV. It has larger wheels than the Revolution models and a fixed front wheel. It served us well, and we logged many miles on it. However, it wasn’t perfect. The car-seat adapter was clunky (though welcome) and the kids never seemed quite comfortable sitting in it. They seemed to slouch in a concave way, which always worried me. 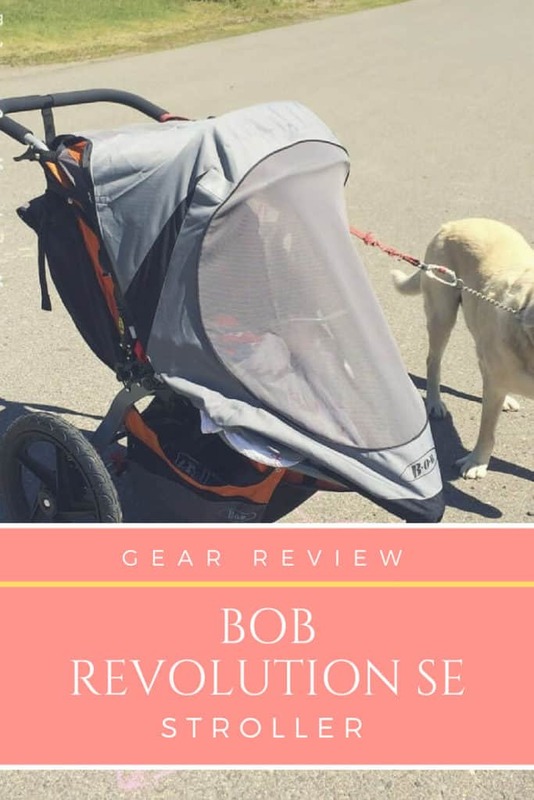 However, BOB has only improved their stroller over the years and we see some stark differences in the Revolution SE model that we love. First of all, BOB and Britax have joined forces and are now one company. The infant Britax car seats work beautifully with the included and integrated (though removable) adaptor on the BOB stroller. It requires no screws and simply clicks in and out in a matter of seconds. While many car seat adaptors do that now, the one on the BOB/Britax combination is far more stable and secure than any of the others we have looked at. The car seats + stroller are even available in the same color. The padding on the seat is also much more supportive and comfortable for the child than the BOB SUV we had previously. 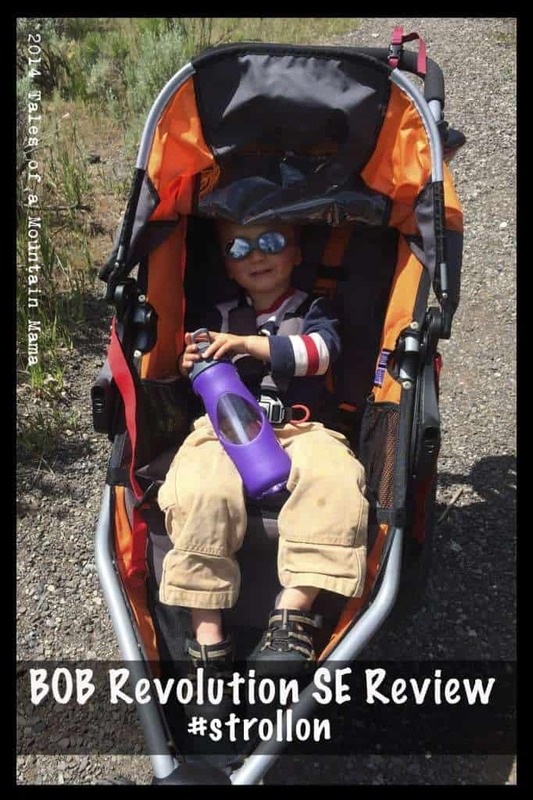 There is ample storage between the Low-Boy cargo under the stroller, the large mesh pocket on the back of the seat and the two smaller pockets inside the seat of the stroller (we use ours for water bottles, snacks, sunglasses and the iPod playing music). 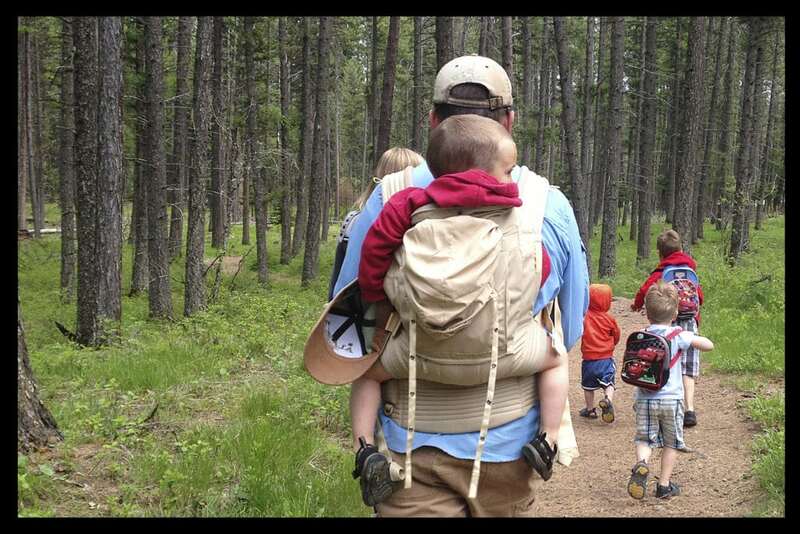 BOB strollers definitely hold the biggest kids the most comfortably (max capacity: 70 pounds). While it’s not recommended, it’s easy to throw on an extra child at the foot of the one in the stroller without much of an issue (while just walking, of course). It’s sturdy, stable and a jogging powerhouse. 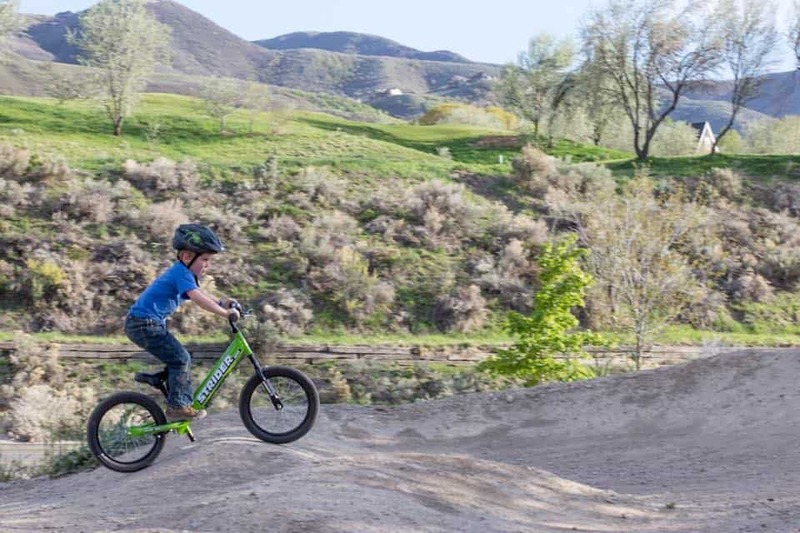 The photos below show our 5.5 year old (~50 pounds) comfortably riding in it. The BOB SE also happens to have an incredible sun/rain shade. 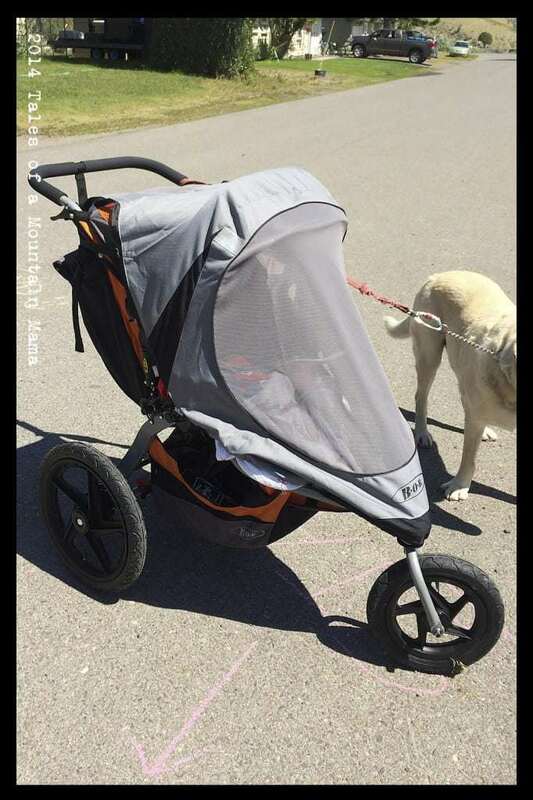 While the canopy does not detach to “follow the sun”, the coverage is adequate enough to keep babies/small kids completely dry in rain (as long as there is no wind, etc.) It’s my favorite canopy in the line-up we checked out. It also has a large “peek window” so you can keep an eye on your child and remain in motion as you run. For added protection, BOB also sells a sun/bug shade ($70) and a weather shield ($55). Since rain is actually not much of an issue here (if it does rain, it’s usually just for a little while), we opted to test out the Sun Shade. 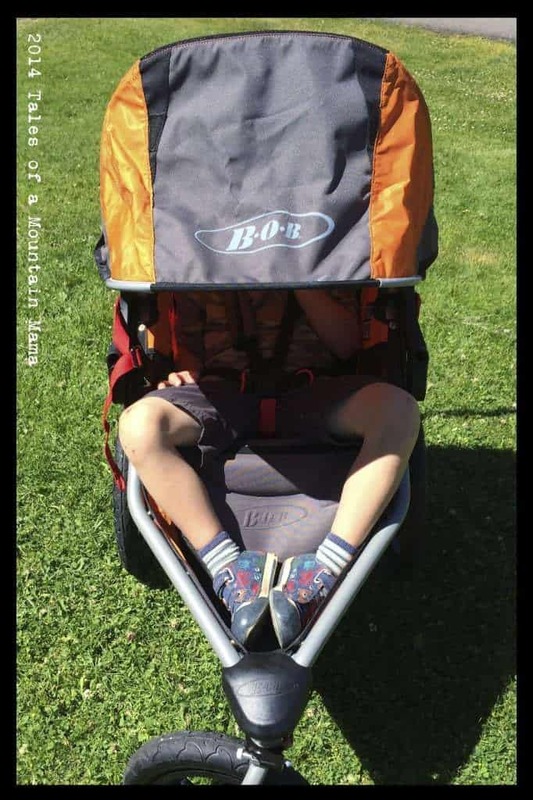 It was another feature I loved on the BOB since it provided extra shade AND protected the child from wind and some pretty nasty bugs we get around here (biting flies, etc.) It’s a bit pricey, but an accessory I highly recommend. While the suggested retail is just under $460, you can find the stroller for much less at many retailers online. – Improved and comfortable 5 point hardness and seat padding. 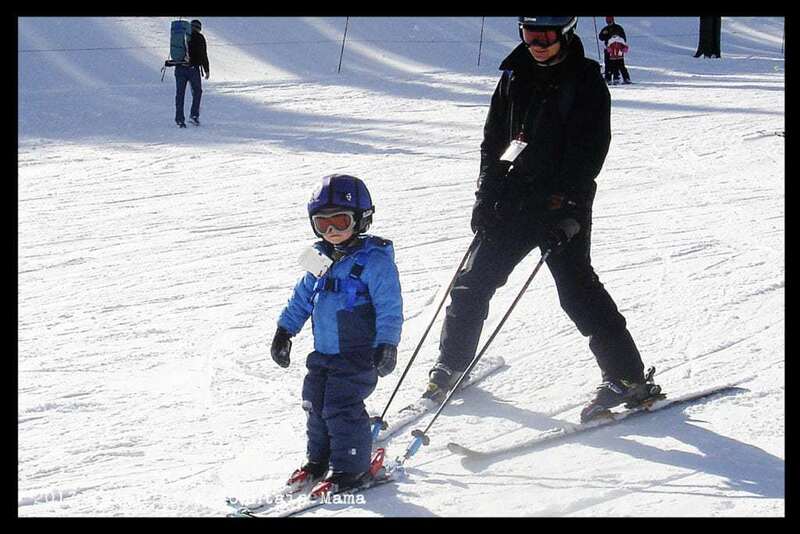 Easy to make adjustments quickly between children. 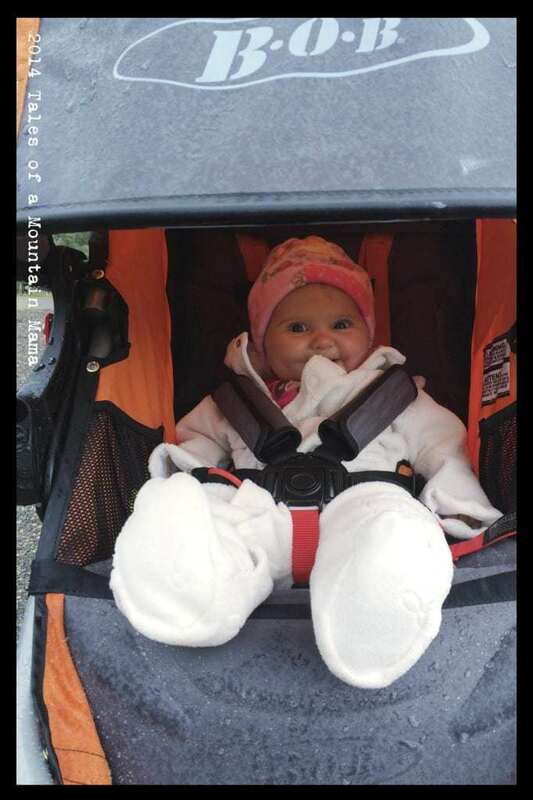 Aside from the stroller itself, the BOB B-Safe car seat is a great seat in itself. 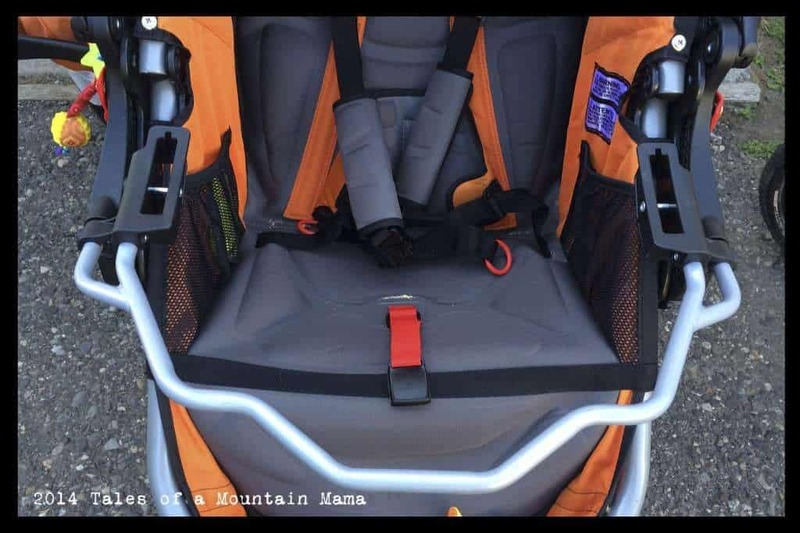 With attention to safety details and easy adjustment for the growing baby, it’s not just an “accessory” to the BOB stroller, but holds its own in the world of infant car seats. We drive a minivan and so had no issues with it fitting in the car correctly. 1. L seemed to get pretty hot in it with the extra padding. I had to make a conscious effort to be sure cold air was blowing on her when the temperatures were warm. 2. The canopy is large, but it is fixed on the car seat so if the sun is directly in their face, there is nothing you can do. I’d prefer the option to be able to pull it down further to shield Baby. While this video is far from professional, it does show you our favorite features. 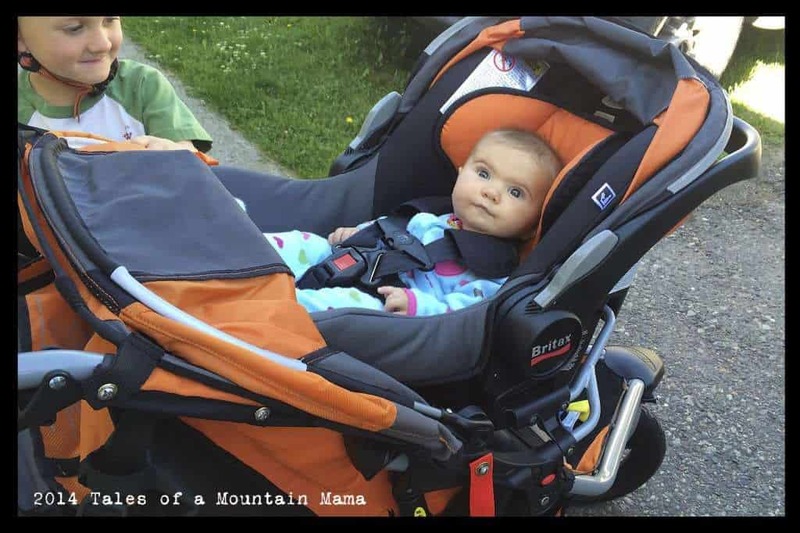 The BOB SE is a great all-around stroller for serious off-road or more variable terrain, jogging, hiking and keeping baby protected. It is not the slimmest of strollers, and fairly bulky, but incredibly stable and accommodating to larger kids. BOB/Britax generously provided us this gear in order to facilitate this review, per our request. However, as always, the opinions expressed here are completely and honestly our own. A few of these links are affiliates. Thank you so much for clicking through them to make your purchases – it helps offset the cost of this blog in a (VERY VERY) small way!